OUR VEHICLES ARE ELITE CERTIFIED WITH A 125 POINT INSPECTION!! WE SPECIALIZE IN RUST FREE VEHICLES. REMEMBER "YOU GET WHAT YOU PAY FOR" WE ONLY BUY THE HIGHEST QUALITY OF USED VEHICLES. A LARGE PORTION OF OUR CUSTOMERS ARE REPEAT OR REFERRAL!!! WE OFFER FINANCING FOR ALL TYPES OF CREDIT... EXTENDED WARRANTIES ARE AVAILABLE AND ARE GOOD AT "ANY" CERTIFIED MECHANIC.... VIEW OUR ENTIRE INVENTORY @ www.elitemotorskennesaw.com. 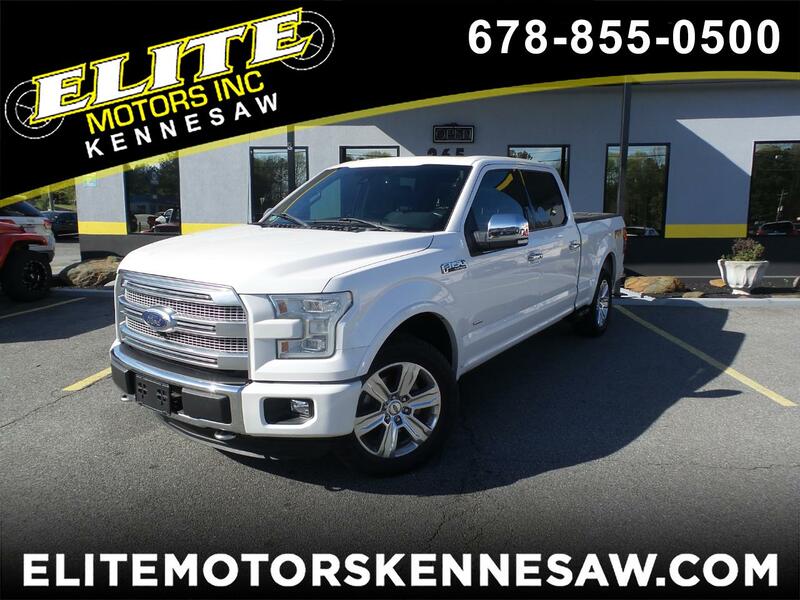 CALL THE KENNESAW LOCATION AT 678-855-0500 OR EMAIL US AT elitemotorskennesaw@gmail.com.